Read more about the Gantt chart. Read more about Gantt task hierarchy. A task is marked as a group automatically if it has children. Milestone is a special type of task that has no duration - it can be used to mark a certain date/time point. 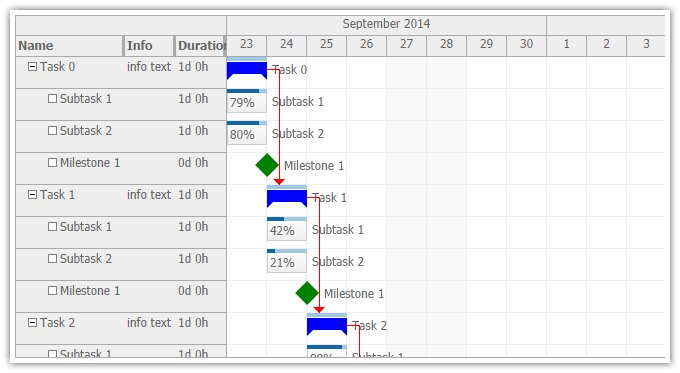 Read more about Gantt task types. All elements can be styled using CSS. See a list of CSS classs used by the Gantt chart. 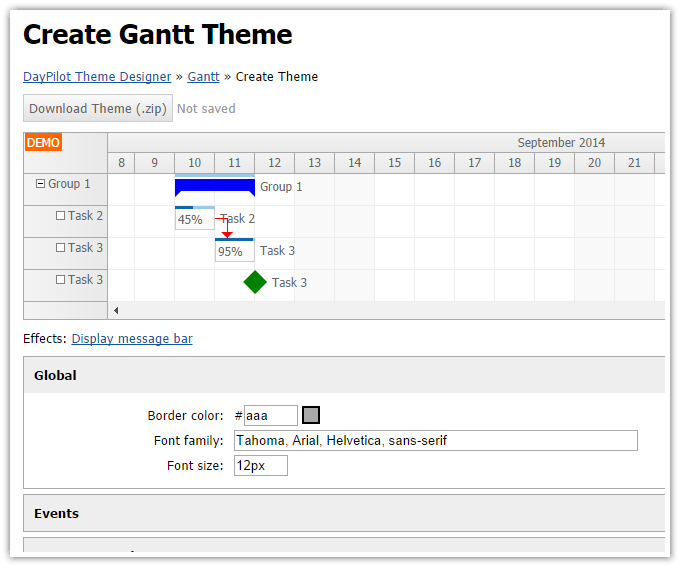 You can use the online Gantt CSS theme designer to create your own theme. Real-time client-side feedback (special CSS class is applied when the target position is not allowed). Read more about event overlapping. Heavy optimization of row rendering. Read more about row moving. Support for "events" and "scrollTo". The concurrent events can be grouped into a single box. Read more about concurrent event groups. The cell sweeping has been already enabled in the previous releases. You can configure the number of cell that remain rendered (beyond the visible viewport) using .cellSweepingCacheSize property. You can enable a horizontal scrollbar for row headers using .rowHeaderScrolling property. The value specified using .rowHeaderWidth will be used for the total width. Column width auto-fit is still supported. 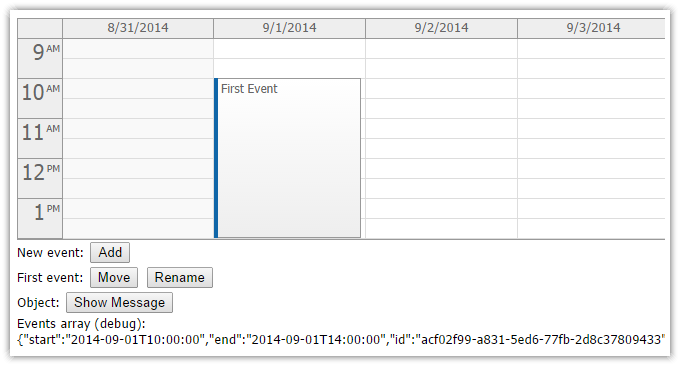 The new .eventEndSpec property lets you specify the event as date only (it will be interpreted as the end of that day). Read more about AngularJS Scheduler Plugin. 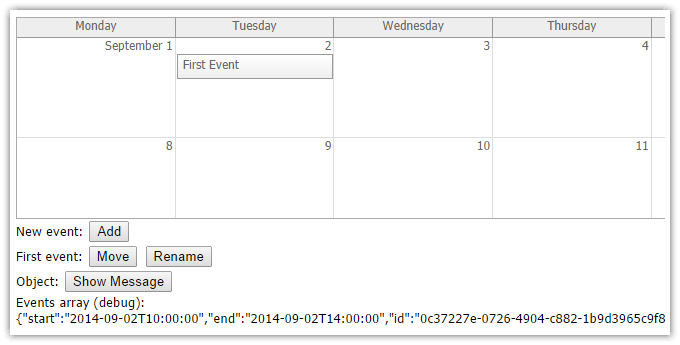 Read more about AngularJS Event Calendar Plugin. Read more about AngularJS Monthly Event Calendar Plugin.